1. I love everything that Edgar Wright has made. 2. Spaced is one of the cleverest sitcoms I’ve ever seen, demonstrating repeatedly how innovation can be wrested from the most hackneyed cliches of a given form. 3. Shaun of the Dead I rank among the greatest zombie films made, the full equal of Night of the Living Dead and (the original) Dawn of the Dead. 4. Hot Fuzz is probably Wright’s best film to date; three viewings in, I’m still grasping its subtleties. 5. Scott Pilgrim vs. the World is my probably favorite film of the past three years—when I am honest with myself, I’m forced to admit that I love it even more than Drive or The Ghost Writer. 6. Edgar Wright is the only celebrity that I follow on Twitter. 7. I now go into everything that he makes expecting nothing short of sheer brilliance and genius. 8. I went to see The World’s End opening day. 9. It pains me greatly to say that the movie is, to date, my least favorite work of his. 10. I get the impression that Wright was playing it safe here, aiming for a larger audience. 13. I wrote a little something about that. 14. So it’s hardly surprising that The World’s End is to some extent of a retread of Hot Fuzz, Wright’s most successful film to date. Newton Haven and its sinister secret recalls the idyll of Sandford. Pierce Brosnan’s Guy Shephard recalls (for me, at least) Timothy Dalton’s (brilliant) Simon Skinner. 15. In other words, The World’s End is a victim of Wright’s previous successes, this marking the first time he’s failed to top himself (in my estimation). 21. 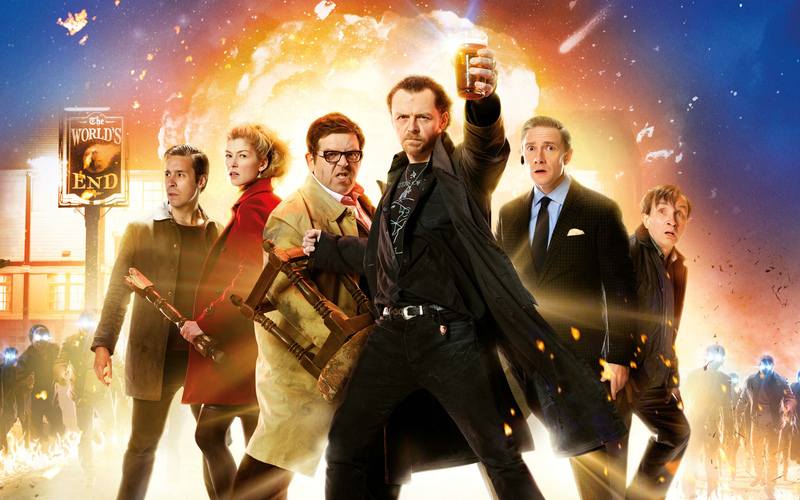 The World’s End remains a wonderful film that entertained and delighted me from beginning to end. 23. I plan to see The World’s End at least one more time in theaters. If nothing else, I’ll see it when it hits the local brew and view. 24. I still can’t utterly wait for Ant-Man. 25. I hope that Edgar Wright makes a million movies. You, sir, are a genius!